If you haven't found a property ! 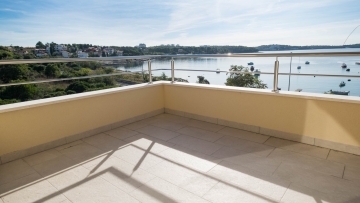 Kvintet Ltd. is a real estate agency offering professional personal services in whole region of Istria. The company main office is situated in Pula, Jurja Zakna 4b while the other office is in Porec, Istarskog razvoda 5. Our expert sales team has exceptional level of property experience and local knowledge. On these pages you can find all information on our services and send us your requests either by e-mail form or by phoning us on the telephone number +385 52 500 795 (Office Pula) or +385 52 434 573 (Office Poreč). Real estate agency Kvintet provide a wide range of services related to the property market in Istria and Croatia: - Legal Consulting and Taxation Services, - Assisting in project management and project financing and investment opportunities, - Company registration and boo keeping services, - Managing small and large scale projects, - Assisting with construction development, - Securing work permits and visas, - Making financial feasibility studies, - Property marketing, contracts, renting and all other joined services. Contact us with confidence. Sincerely Kvintet!